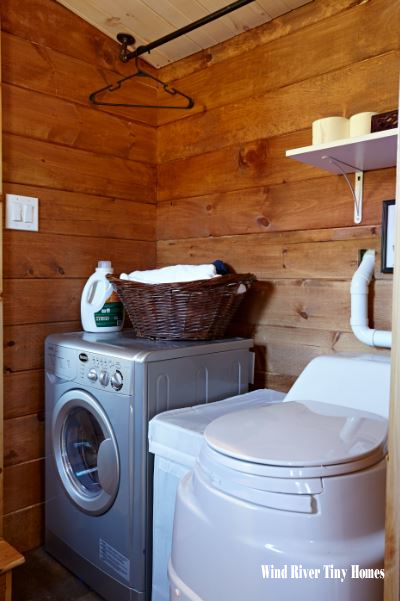 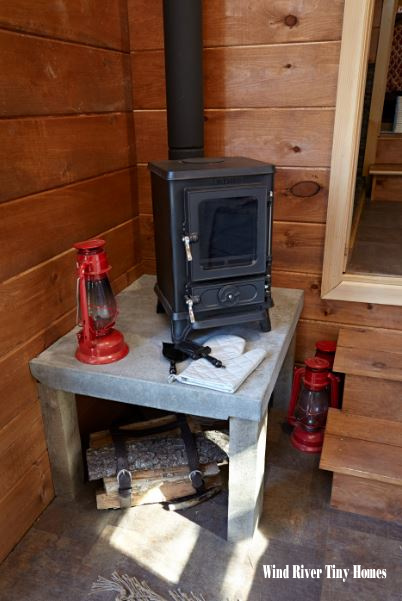 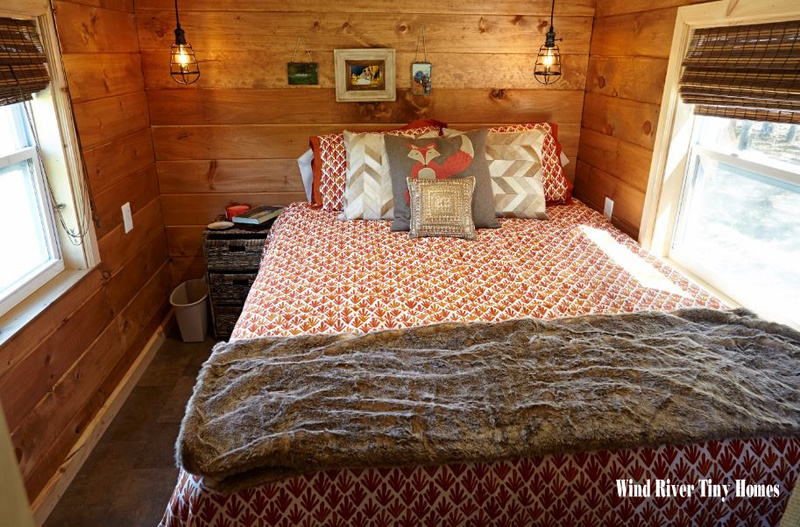 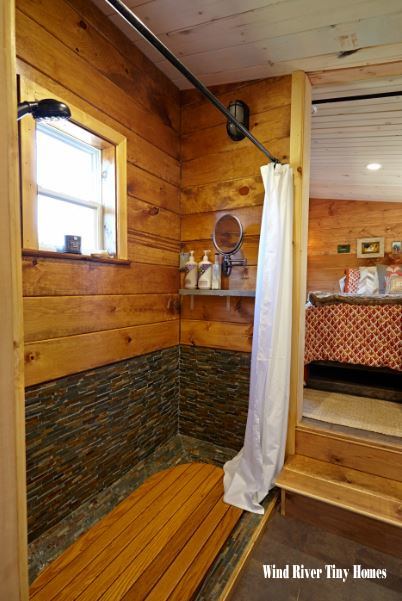 The Nomad's Nest is a cabin-style tiny home with a cozy interior that perfectly blends together a bohemian and rustic aesthetic. 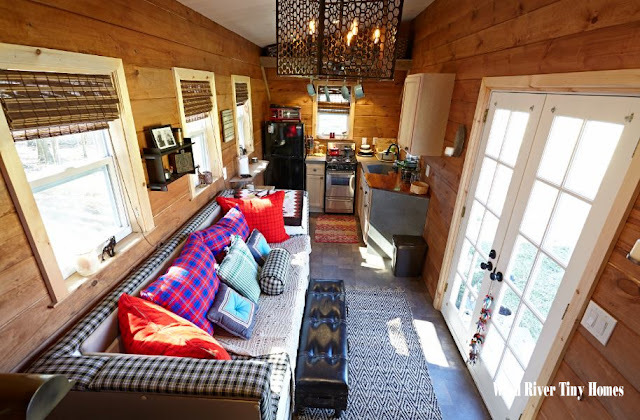 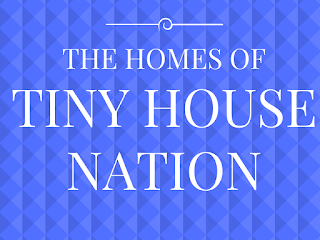 The home's owners, Lindsay and Jeremy, are world travelers looking to settle down in a tiny home. 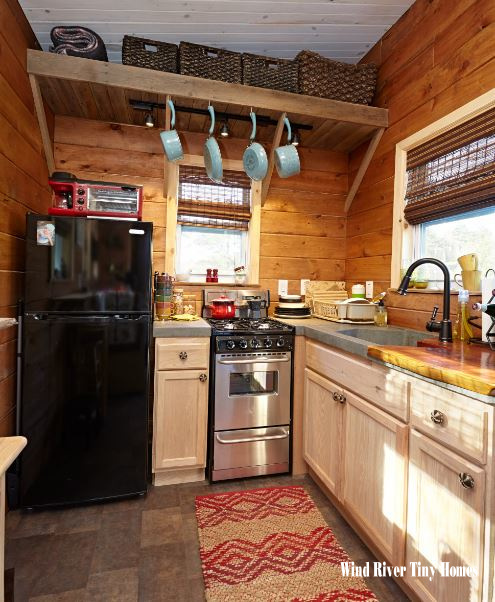 They needed a home that would allow them to store their mementos and souvenirs, as well as a good kitchen for Lindsay and enough space for Jermey's tall size. 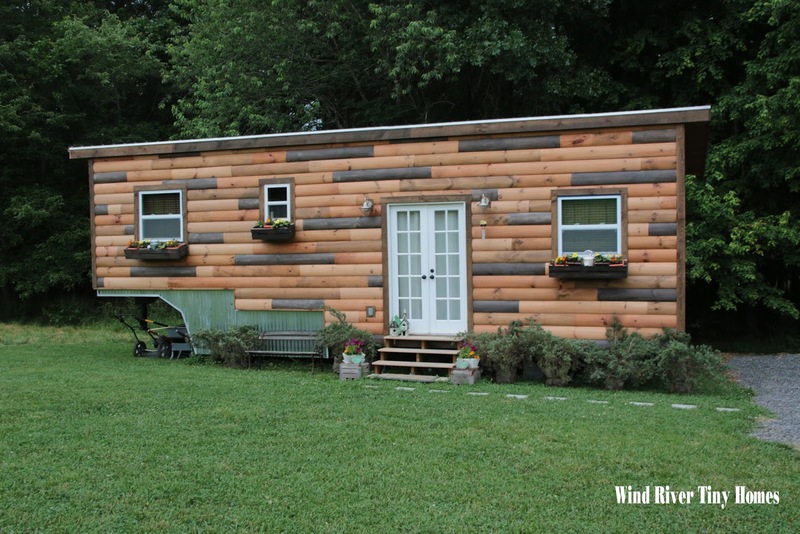 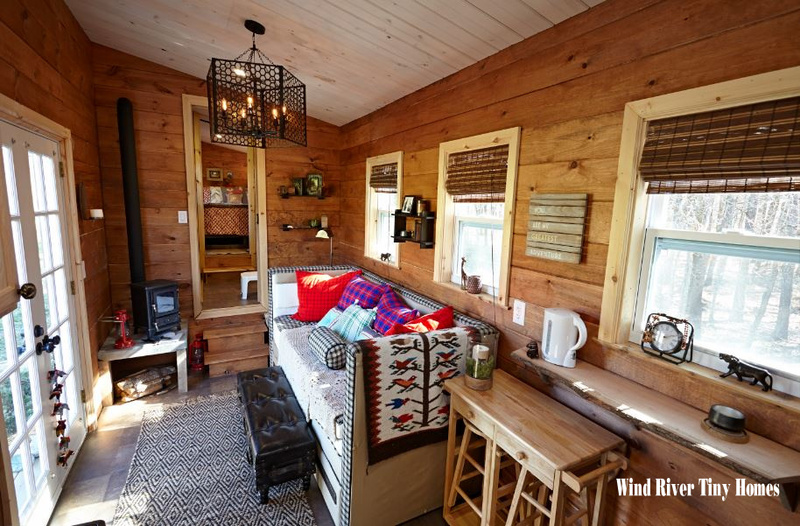 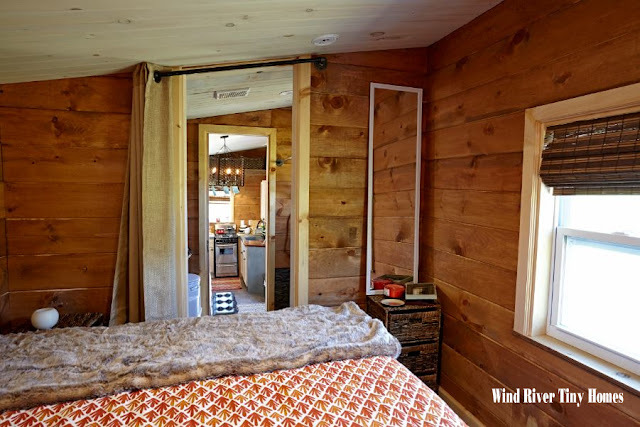 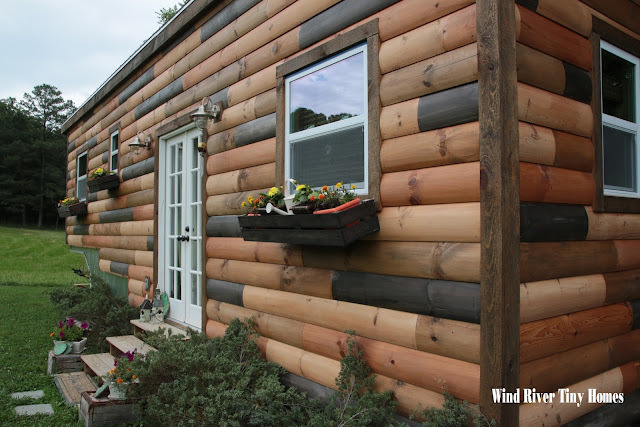 Wind River Tiny Homes of Chatanooga, Tennessee, put together this unique home, built onto a 30' gooseneck trailer. 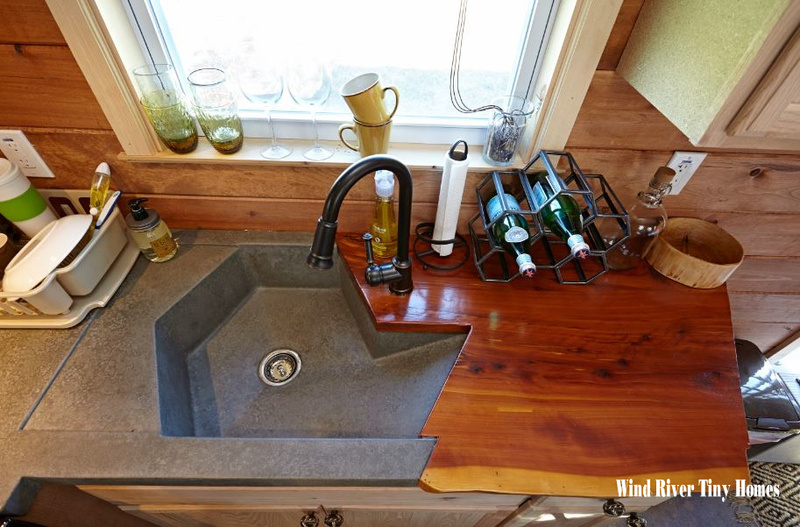 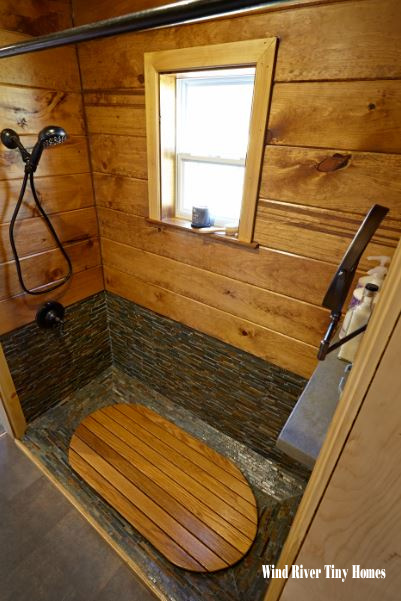 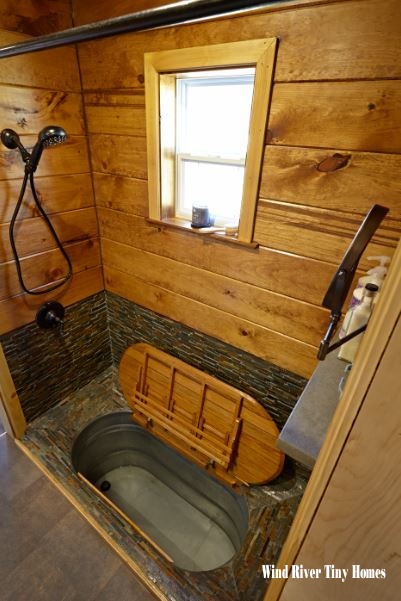 The home features all kinds of beautiful touches such as a live-edge and concrete counter, a horse trough tub, and a stunning full kitchen. You can purchase a basic model of this home for $68,000 or the house as pictured here for $86,000.